I have had several say they wanted to see the sun room again and now is a good time while it is bright and shining and the leaves are green outside. Not so pretty in the winter. I do use this room year round though. Now I will warn you I just cleaned all these windows so they would be all purdy for my visitors on Friday. Wow, is it bright in here. Good to get the muck off and let the sun shine in! There is plenty of seating, lots of books and a television so come on in and put your feet up. See all that glare. Those windows are sparkling now! Tried the succulents here, but moved them back closer to the windows. Purchased this vintage tole tray on ebay years ago. That is how it looks for now. The succulents are doing well. If I were to change one thing in here it would be to have some slipcovers made for the two vintage chairs I inherited. I did choose the fabric they are in now many many years ago. Eventually I will find someone in the Atlanta area that does slips. We added this room onto the house several years ago so we could see the pond from inside. The beadboard is real tongue and groove. Mr. Savvy wired this room, hung the beadboard, did all the trim and I did all the painting. We both installed the tile floor. Thanks for taking a look and have a great weekend! I could live just in this room. Well, with an attached bathroom :-) So beautiful. Love the pops of color. And I'd love to dig through your books then curl up and read. What a great room--every detail is just perfect! Enjoy your guests this weekend. My very favorite room in your house, Kim! Love your sunroom Kim! 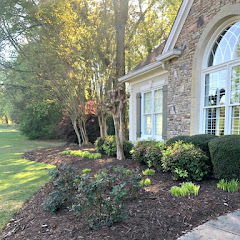 Sherry did a wonderful feature on your gorgeous home! You and Mr. Savvy do some great projects in your home. It is so bright and cheerful. I love the pillow with three buttons. My windows need cleaning but it's to hot here in Arizona today to clean outside! Oh, Kim, I could move right in! I was going to say that I loved the vintage fabric on the comfy looking chairs, as they seem to really set the colours for the room. Slipcovers would be pretty too. I am really admiring the plant pots. The whole room is just so lovely. Thanks for sharing so many pretty photos. Although I don't have a sunroom or big porch, I am going back to slowly go through the pictures again just for enjoyment sake. Your sunroom is a favorite. I love your use of pattern and color. You mix it really well and each and every item looks like it was made for that room. Just beautiful! Thanks for linking it up! It looks gorgeous. I've been trying to find chairs like those you inherited and haven't been able to them anywhere. Oh, well. Such is life. Thank you so much for inviting us into your beautiful home. I love your sunroom, Kim! I always love when you share it with us! Your windows do look sparkly. Do you have a favorite cleaning tip for windows? I am going to try one I read recently from Beth at A to Z. I have really got to get to mine! I've always loved your porch, Kim...it's always so cheery and welcoming! Just makes me want to come and visit! Your sunroom looks very pretty. I love how you add touches of red to your rooms. I so enjoy looking at this room - I think it is one of my favorites in your home...although, I love 'em all! Just beautiful! I think every gal dreams of having a sun porch like that. Kim, I had my two dining room end chairs slipcovered last year. My favorite upholstery shop made them. Try that. Now THAT is a sunroom! Full of sunshine, cheery colors, comfy seating, wonderful accessories and lots of love! I can just tell! Wow Km! At first I thought I would love to take a nice nap in there but there is just too much prettyness to close my eyes! I love this room. WOW those windows are sparkling Kim! Can't wait to see it tomorrow!~ Hitting the sack early tonight. My boys are pooped from partying all day, and swimming. This is my favorite room in the whole house!!! I really love those 3 little pots you just got! Such a pretty room. So inviting! I have a sun room too that I want to re-decorate....you've provide much inspiration! I've always loved this room Kim...it's so cozy and cheerful! You have so many great accessories and I'm glad to see that "little piggy" his still hanging in there! I'm in deep like with your pig. May I just say I COVET that room ! I have a newer home-called for an estimate to just add a covered area outside - $20k quote later - I was like - ahhhh nope - that is without any glass et al - WHNA - lovely -just lovely ! Carol in FL - where one needs a sun room ! I love your sun room and all the details that went into decorating it so perfectly. I have to say the red screen and the rooster pillow are my favorites. Have fun tomorrow with Debbie. Kim- You have such a good sense of color. I love that you have all that color in your house-it just SAYS Southern to me. I love that old clock and really love the old tole tray. I Love this room, makes you want to sit a spell!! Also love the fact so much love was put into it. I am looking to incorporate some true red into my decor. Thanks for the inspiration. If you get a chance hop over to my blog. . .I would love your opinion of some fabric combinations. Love that room...fly me down and I'll slip those babies for you...just kidding, although I'm getting pretty good at slipping (I'm obsessed). I love that rooster pillow...think I'll paint my own on some drop cloth material..you have inspired me! PS...would you mind if I borrowed that rooster pillow idea? Your sunroom is so beautiful and welcoming. Love all of the wonderful details! This room looks so cozy and inviting. i love your lemonade clock and the flying pig! Love it Kim...great room and I love the slipcover from PB, I hope someday to get one for my sofa. I do adore those planter pots what a great find that was! Have fun with Deb, can't wait to see pictures from both of you! Always love seeing your sun room Kim! I think this might be my favorite room in your house...the dining room is a close second! How do you keep your white slipcovers clean? I am struggling with mine...some of the doggie paw marks aren't coming out. Any advice you might have would be so appreciated...no hurry though. 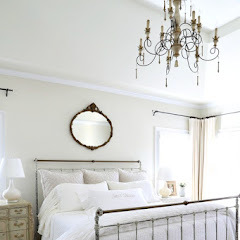 One of the prettiest rooms in blogland! Have fun tomorrow! I wish I was there! If I could have a sunroom--this would be the one! Love, love, love it! Beautiful, and I am so glad to see that I am not the only one who likes red. It seems like everyone's blog is all whites. Beautiful, but I love color too!! I usually think of red as a winter color, but you totally opened my mind up to it being used as a crisp, refreshing summer color. I love the red accents....just perfect! Love the rooster pillow... and the magazine holder !!! Kim, it's warm and cozy and beautiful. Now, if I could just somehow camp out on one of those big comfy chairs with a stack of those books you've got, I'd be one happy camper! I love your sunroom...so very pretty!! We have talked about adding one onto our house just off of the dining room. Love the rooster pillow too!! What a cheerful, happy room. Love all your fun, bright colors. Thanks for sharing with us, again. Thank you for the close-ups on the book titles. I have some- but now I have more to help guide my look towards your polish. This has to be the best explained room I've read about all week. GREAT job. Kim, I love this room.......it was the inspiration for my Sun room when we added it 2 years ago. I found it on RMS and showed it to hubbie...he built mine too! Love all the little changes you've made. Have fun with your guest! I always comment on this room when you post pictures because I just love it so much! It is one of my favorite rooms of all the blogs I read. 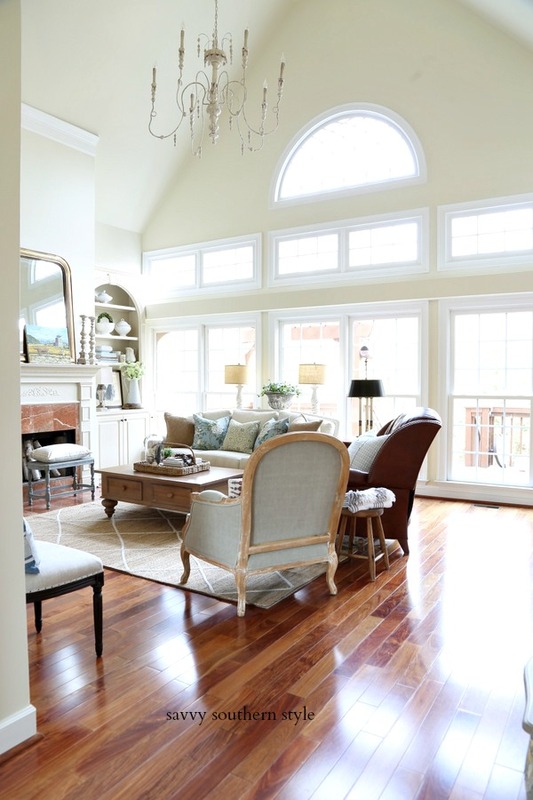 Your sunroom is so warm and welcoming and everytime I see it, I start imagining my house with a sunroom! Thanks for the inspiration! What a beautiful room. I would live in there. Thank you for sharing. It is a lovely space! I love this room! It is amazing that you two added it on~it looks like it was always there. Love the colors and the way you have accessorized it. Your sun room is my favorite room in your beautiful home. It is just so welcoming. I could probably sit there for hours and be quite content! Thank you for the wonderful tour of your sun room. This is one of my all-time favorite sun rooms. I just love everything about it. I have hunted high and low for a coke crate..I dream about them in my sleep..I daydream about them during the day..I WANT ONE. Kim everything is so beautiful and inviting!! that makes me feel really good I have the same stuff as YOU!!! The amazing Savvy Southern Style!! Now if you can just send my that clock......I want it bad. That is the cutest thing EVER!!! Perfect in everyway. Everytime I click on your blog the puppy at the top makes me smile. Love. Every. Single. Beautiful. Detail! Your sun room is gorgeous, I love your tv cabinet! I could move right in!!! This is a wonderful space. Love the colors and relaxed quality. If that little magazine rack goes missing, you might have to come up here to get it back! I'm always so glad when you join in for VIF! Great, inviting and beautiful room! I love it! Love all your books, almost evry subject. Your pillows are adorable, specially the rooster one! Very relaxing for a cup of coffee, reading or watching tv. Have a great weekend. I'm also at Show and Tell Friday, come over for coffee! Hugs. From top to bottom and to each side and corner GORGEOUS! May I inquire as to where you found that wonderful Rooster pillow and the striped flower pots? So glad you shared your room with us. I LOVE you home so much! I can't imagine a room more perfectly living up to it's name! :-) It is sunny, cheerful and just chock full of charm. 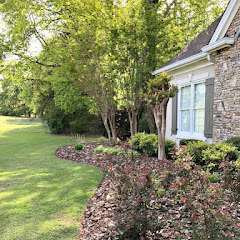 Your attention to detail is always impeccable and we are so glad you shared this with us at Inspiration Friday this week Kim! This is a beautiful room! Very inspiring! Thanks for sharing it. I love your sunporch..Especially the flying pig ya have on the table..Those are the same colors I have in my living room..Red and Green..Have a great weekend.. This room has to be one of my favorites! I love all the elements in the room. I need a new sofa and wonder how you like your PB sofa? Did you go basics or add upgrades like down? Also, did you do white denim or duck?? Kim, your sunroom is so beautiful and each time I see it, no matter what the season, it makes me want to get going on building ours! It certainly is wonderful inspiration! Your sun room looks so cosy and I really like the Coca Cola box and the old signs on the walls. Great pictures indeed! Please tell me about the red shutters. Rachel, the red shutters were bought as four plain shutters at a salvage warehouse that were probably intended for closet bifolds. We purchased the four for $20 and then my husband hinged them together and I painted them off white first and then red last year. Rachel I love all the red you used in your sunroom! Love the rooster pillow! I've been looking for a round side table JUST LIKE YOURS! Sigh...I'm jealous! Kim, it;s a good thing we don't live near each other because I would be coming over for coffee every day, invited or not! I would be the guest who never leaves. I've said before how much I love your home, but this takes the cake for me. This sunroom is absolutely beautiful. That red screen with the red pillow pop are so fantastic. And I LOVE the plates between the windows. Truly, it's just gorgeous. What I wouldn't give to have a room EXACTLY like that. You are such a talented girl. Thanks for sharing it. I'm going to go tell my husband to build me this off the back of my house!! Have a great day. 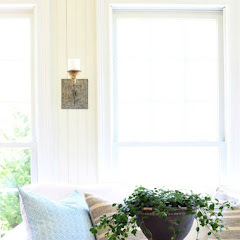 Kim...I am trying to catch up today on reading post and I think it is a losing battle :) Love your sunroom, such a happy place with just the right amount of old and new! I'm squealing just like that little piggy wants to....love everything in this room! Love those striped pots and that Rooster pillow is darling! 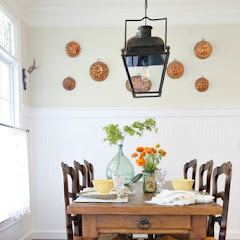 I just bought a Pottery Barn Burlap shade this past week and love it, yours looks great! Love all your red in the room! And your Coca Cola tray! I'd love to sit and read a book in this cozy room! Oh Em Gee!!!!! Kim!! I LOVE this room! I NEED it!! I love the fabric on those chairs! LOVE IT! Love the lamps! Love the rooster pillow! LOVE the little pig! LOVE the doors in the corner!! OH! I also love all the colors! You are my hero!! Spectacular room!! I am envious! Wracked with envy!!WRACKED! !